Mountain goat kids from the Olympics introduced to new home at Northwest Trek Wildlife Park. A group of mountain goat kids scampered into the vast expanses of our 435-acre Free-Roaming Area Tuesday morning and began exploring their new home. There were five altogether. 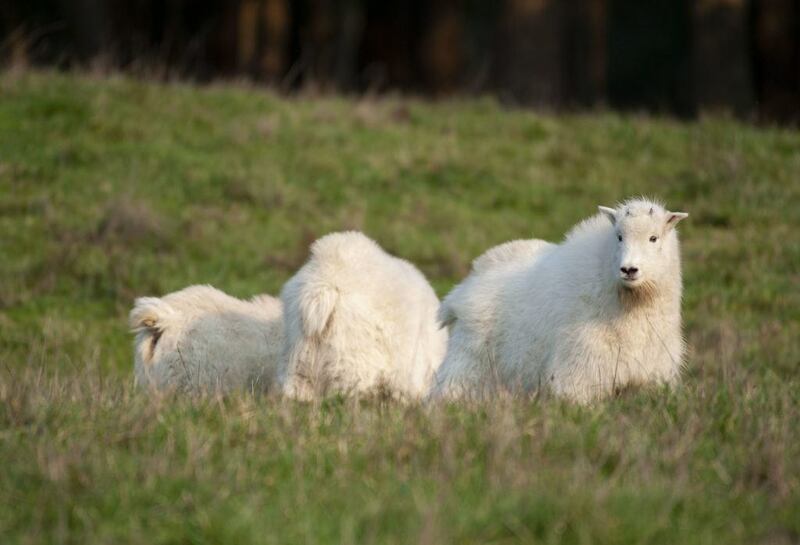 Four of the young goats – females Fairchild and Bailey and males Klahhane and Elwha – will remain at Northwest Trek where they can choose to roam through meadows, forested areas and rocky hillsides. The fifth eventually will move to another zoo. We are delighted to provide a permanent home for these mountain goat kids. We know our visitors will appreciate seeing them grow up and learning about their conservation success story. The mountain goat kids were all translocated from Olympic National Park in September. They have been living behind the scenes under the care of our keepers and veterinarian Dr. Allison Case. The kids are part of a larger group of non-native mountain goats translocated from Olympic National Park in September during a multi-agency operation to re-establish and assist in connecting depleted populations of mountain goats in the Washington Cascades. This effort to translocate mountain goats from the Olympic Peninsula is a partnership of the National Park Service (NPS), the Washington Department of Fish & Wildlife (WDFW), and the USDA Forest Service (USFS), with support from area tribes. Our veterinary team collaborated with those partners to provide comprehensive veterinary care to the mountain goat kids. We also partnered with Woodland Park Zoo and Oregon Zoo on transportation logistics. Case and Veterinary Technician Sara Dunleavy set up a field clinic on Hurricane Ridge so they could examine the goat kids, provide any necessary medical care, get blood samples, perform other routine tests and place ear tags for identification purposes. Free-Roaming Area keepers Ed Cleveland and Dave Meadows, each with deep knowledge of mountain goats, provided valuable assistance to staff members from other agencies during the translocation effort. 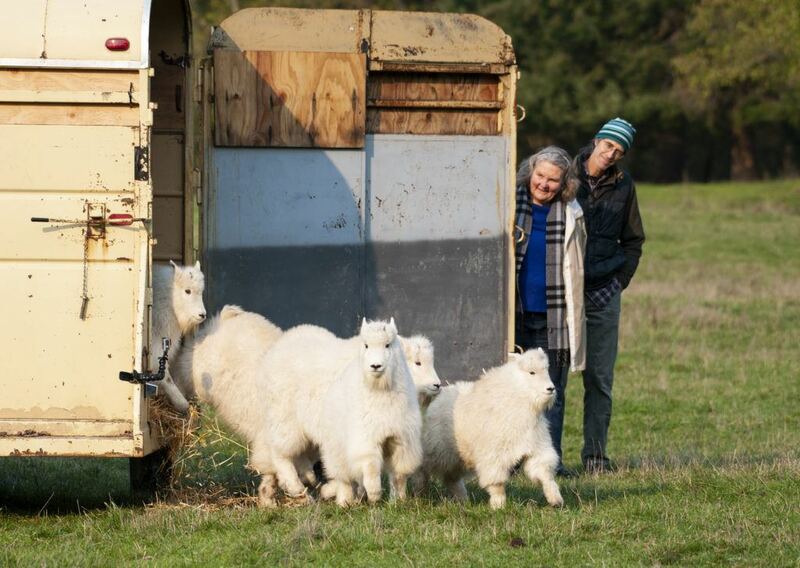 Altogether, 98 mountain goats were translocated from Olympic National Park to the northern Cascade Mountains, including 11 kids that were released with their nannies. 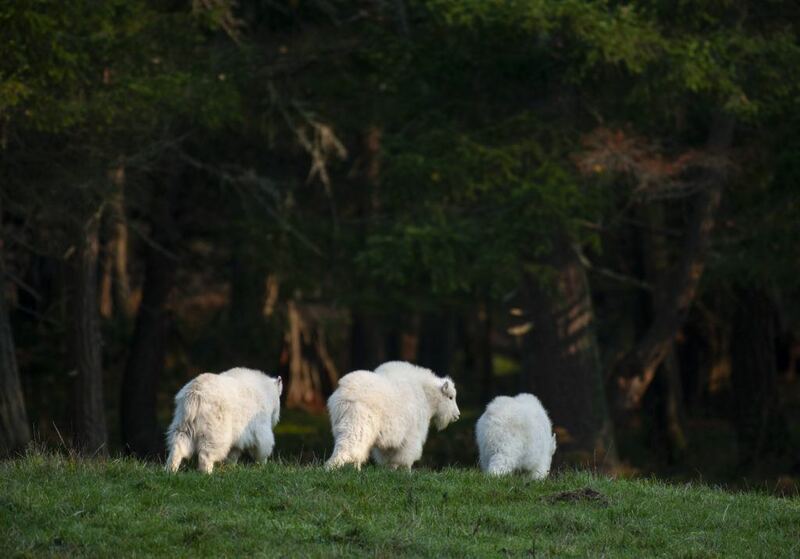 Six mountain goat kids that could not be paired up with their mothers were transferred to Northwest Trek. One of the six joined a herd at Woodland Park Zoo last week and another eventually will have a new home at another zoo. The four kids that will remain here at Northwest Trek were named by our animal-care staff for features in the Olympics. Weather permitting, Mount Fairchild is visible from the Hurricane Ridge Visitors’ Center in Olympic National Park; Bailey is the name of a mountain range in the park; Klahhane Ridge is a popular hiking area there; and Elwha is the name of a vital river on which two dams were removed as part of a successful wildlife and watershed restoration project. And just like that, their namesakes, Fairchild, Bailey, Klahhane and Elwha scampered into the forest. Look for the mountain goat kids from our naturalist-narrated tram tour that comes free with admission. Or, reserve a seat on our special Keeper Adventure Tour, a premium off-road Free-Roaming Area experience.